Dan Muesenfechter – Starting his senior career at Florissant Valley with All-American honors, it was an easy transition to the University of Missouri-St. Louis. 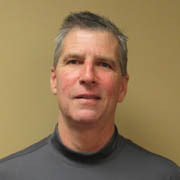 While attending UMSL, Dan was a two time All-American in 1979 and 80. Dan was inducted into the UMSL Hall of Fame in 2007. As a member of the Busch Soccer Club, Dan won a National Amateur Championship in 1980. His professional career started with the Denver Avalanche and two years with the St. Louis Steamers, before returning to the outdoor game with a 1988 National Open Cup Championship with the Busch SC and an additional Over-30 National Championship in 1995 with Kutis. Other teams that Dan participated on were the Ramsdale SC League Champions in 1990 and Biggies CYC Champs of 1996.was a member of the SIU Edwardsville NCAA Division I National Champions where he received All-American honors twice in his college career.